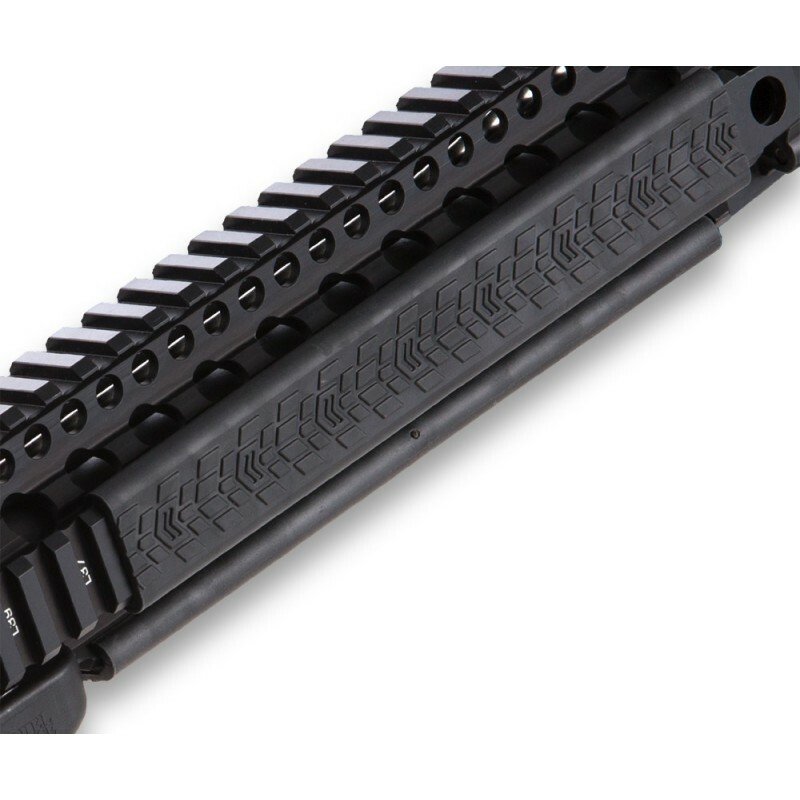 The Daniel Defense Rail panels are made from Santoprene, which is capable of withstanding temperatures up to 300 degrees, shielding your hand from excess heat while protecting your rail system. They feature Daniel Defense’s signature pattern and provide a rubbery grip surface for a reliable hold in all weather conditions. Each panel is 7 inches long and can be cut to desired length to work around rail mounted grips and accessories or to fit any picatinny rail system. Available in Black and include three panels to a package.